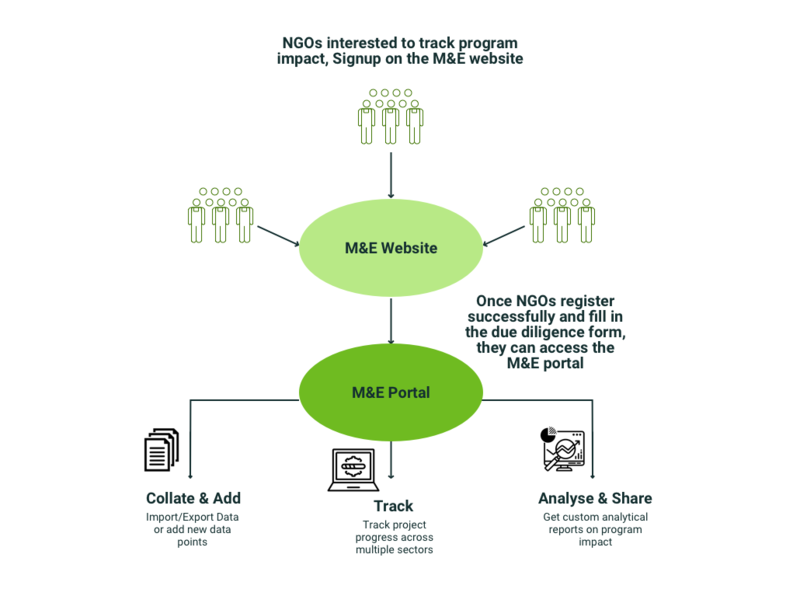 An open access Monitoring and Evaluation tool for NGOs to track and measure program outcomes. Designs solutions for implementation through good governance and impact measurement. Social Lens’ founder, Vijaya Balaji, believes, that by working with mission-driven NGOs and social enterprises in the impact sector and by co-creating solutions, both can help build empowered communities. Since its inception, Social Lens has been designing solutions, specializing in impact assessments and capacity building. Vijaya, who herself heads a Mumbai based non-profit organization – ToolBox India – realized that executives of NGO are often overburdened with responsibilities and sometimes find it challenging to manage direct deliverables. She started devising ways to make this process smoother with the use of technology and consulting services and started her next organization – SocialLens. To ensure that the day to day operations go on, Social Lens customizes the best practices drawn from experiential learnings and capacity building projects undertaken for past projects for new clients and organizations. Doing development work and communicating the work done to external stakeholders are both extremely important. Although most NGOs focus on the first part, many don’t pay attention to the latter. Social Lens felt that it was imperative to gauge the impact NGOs are creating not just for their own understanding of the project outcomes but also to share their work with donors and external stakeholders. There are questions such as “Did the implementation of skilling in community-based organizations result in changes in knowledge, attitudes, and skills among the beneficiaries? Did the program have any unintended (beneficial or adverse) effects on the target population? Do the benefits of the training program justify a continued allocation of resources?” which every NGO, donor organizations and other crucial stakeholders want to know to get a sense of the overall picture. Many NGOs still did not collect large-scale data on important parameters. Evaluations were done mostly through in-depth interviews and focused group discussions. This made gauging the overall impact of the project challenging. For those NGOs who collected data, most still relied on pen and paper to jot down data which were later added to the excel sheet manually. Many a time, there were heaps of papers lying in the cupboard waiting to be entered in the system. The data when collected was often not meticulously analyzed and interpreted. NGOs doing great work and wanting to scale up their work faced constraints in finance, time, technology and human resource which made following through on the above processes difficult. To signal partners and donors who assess whether the NGO is a reliable partner. This platform would initially be used for the Livelihood and Education sectors. By using the M4I tool, Social Lens wanted to ensure that organizations could monitor and evaluate processes, set up, manage and track data collection requirements. Organizations would also be able to share their impact with stakeholders, funders, and the public through relevant graphs and charts. Throughout the creation process, Social Lens gave research inputs and the team at ColoredCow coded and designed the product accordingly. We interacted with non-profit organizations regularly to understand their requirements and received feedback on the various iterations. It’s easy to do more impactful work when we do it together. Believing that the work we are doing is of greater good gives us a sense of fulfillment. We know there is a need for new tools and applications which can automate processes in the social sector. Through collaboration and mutual understanding, we were able to build something with Social Lens which will assist NGOs with impact assessments. Two or three decades ago, it was impossible for organizations to imagine using information technology for day to day work, let alone for social development. The time is ripe, to co-create technology through partnerships to bring about change on a large scale. An Open-Access Monitoring and Evaluation Tool for NGOs which can collate data, track projects and provide customized analytical reports.